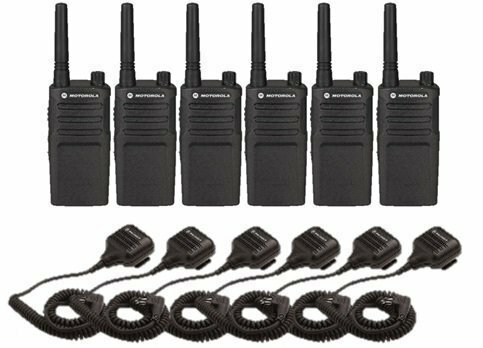 Six-pack of Motorola RMU2040 radios with speaker mics. Each of our radios comes complete with a single-unit charger, 15 hour lithium ion battery pack and swivel belt holster. Each radio is 1-watt, 1 channels, UHF frequency range. Very reliable, simple, heavy-duty radio that is popular with a variety of different industries.